American Eagle Credit Union promotes new St. Louis-area branch with celebrity guest, Cardinals Hall of Famer Lou Brock. St. Louis Cardinal Hall of Famer Lou Brock visits with a credit union member. 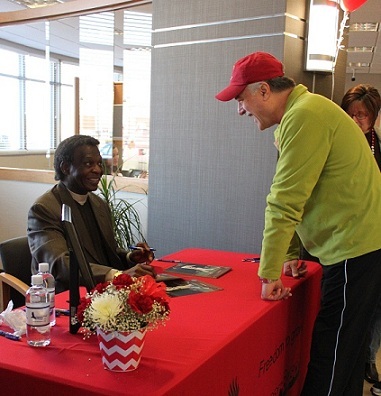 American Eagle Credit Union drew more than 200 members and guests to a Feb. 22 branch opening by including a meet-and-greet event with St. Louis Cardinals Hall of Famer Lou Brock.